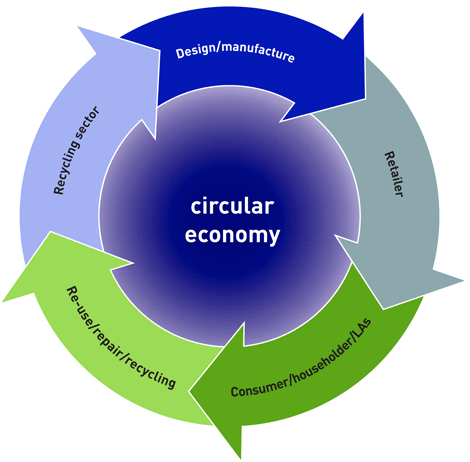 Home Ink Cartridge News What is the circular economy and why does it matter? The circular economy is defined as an alternative to a traditional linear economy where a product is made then used then disposed of. 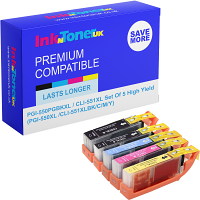 In the circular economy, which www.inkntoneruk.co.uk is proudly a part of, we try to keep essential resources in use for as long as possible by re using materials to extract the maximum value from them without compromising on quality. There are many household names that use circular economy principles, like Tesco and Philips, but the question is do they truly believe in the circular economy? In these times of low oil and carbon prices, which have fed through to low commodity prices, the incentives to replace virgin resources with recycled alternative materials has dwindled somewhat. The problem is very simple: It is often cheaper to use new virgin materials rather than use recycled materials or existing products. That cost driver is the biggest threat to the circular economy. Statistics recently issued by the European commission have shown that businesses becoming more ecologically sustainable could reduce global greenhouse emissions by 2-4%. Younger people are particularly interested in what’s known as zero waste markets, which makes it clear that as these younger people are the parents of the future, the big corporations are going to have to take notice or else! Governments must act and enforce these principles either via punitive measures or via incentives but act they must and www.inkntoneruk.co.uk is ready to take up the challenge.